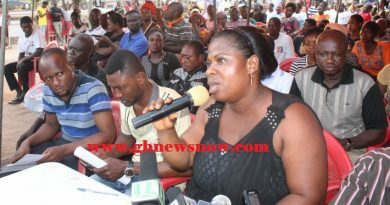 The Ashanti regional Chairman of the New Patriotic Party Bernard Antwi Boasiako popularly known as Chairman Wontumi has warned the National Security Minister, Kan Dapaah to be mindful of his treatment and utterances towards vigilante group Delta Force. According to Chairman Wontumi, Mr. Dapaah and other NPP members must stop demonising the group since they have been very loyal to the party. 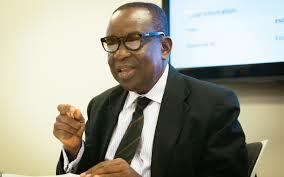 He added that members of the vigilante group dedicated themselves when the party was in opposition and finds it unfortunate that the National Security Minister who patronised their services suddenly describes members of the group as criminals. “Members of Delta Force are not bad people, these are the same people who fought for us to come to power, they are not bad people, they turned themselves in and that shows they are not bad people. “Today some NPP members have positions so they talk anyhow…especially Kan Dapaah, he didn’t even campaign for the NPP. Where was Kan Dapaah when these boys were campaigning, today he describes them as criminals,” Wontumi said in an interview on Ash FM in Kumasi. He added that “If Mr. Dapaah is talking he should be careful…he claimed he had retired from politics but now he has a position after we won the elections…I want to tell Kan Dapaah that if we have suffered for him to get a position…he should be mindful how he treats us. Wontumi’s comments come after Pro-NPP vigilante group, Delta Force on Thursday stormed a Circuit Court in the Ashanti region and freed some 13 of its members who were standing trial for disturbances at the regional coordinating council. The 13 Delta Force members are likely to be to be charged with escape from lawful custody after they turned themselves in last night. The incident has attracted widespread condemnation in the country. Many security analysts have faulted the police for not anticipating such a situation considering the delicate nature of the case.